The ORTHODOX CHRISTIAN COMMENT thanks thousands of Internet Surfers that for the last nine years (since 1996), have visited our Web Site. It began its existence with residence in England, hosted by Global Net; then took up residence in Verio U.K. But, since 1st April 2006, it moved to its own server, with Verio U.S.A., in Dallas, Virginia. This move has allowed the opening of its parallel version in Spanish language: www.ccoyc.net, and the opening of another web site dedicated to the study of the Spiritual Paternity: www.windowtoeternity.net, also with its parallel version in Spanish language: www.ventanaalaeternidad.net. In the server there is still space free for hosting other sites dedicated to non-profit-websites and with Orthodox Christian aims.. They will be hosted with a yearly charge to cover the cost of hosting. For this you may contact the webmaster@orthodox-christian-comment.co.uk. I. A COMMENT "ON PRAYER". By Protopresbyter Kyrillos Leret-Aldir, commenting on our RECEPTION page. ENTER THE PRAYING STATE OF MIND. By Archimandrite Gregory. MORE NOTES ABOUT THE SPIRITUAL LIFE: Rule for reading. A prayer rule. Memorizing the Psalms. The Prayer Rope. By Archimandrite Gregory. Reflections for the Year of the Lord 2004. By Demetrios, Archbishop of America. THE FIRST FIFTEEN DAYS OF AUGUST (2005). Encyclical of Archbishop Gregorios of Thyateira & Great Britain. THE BRIDEGROOM HAS ARRIVED ! Carrying Himself in His Own Hands ! The Bridegroom's Sacrificial Act ! By Protopresbyter Kyrillos Leret-Aldir. THE SIGN OF THE CROSS AND ITS MEANING. Panayiota Michael. TRANSFIGURATION OF CHRIST THE SAVIOUR. A reflection by Dr. M. R. Brett-Crowther. Secularism Challenges Church in England and Wales John Paul II Says. (With Editorial Introduction by the OCC.) October 28, 2003. SEXUAL EXPRESSION: Persons or Parts: Some Modest Thoughts on Girls' Clothing. By Celeste Thomas. With Editorial Introduction by the OCC and comments by H.E. Metropolitan Isaiah of Denver. THEOLOGY AND SCIENCE. By His Eminence Archbishop Gregorios of Thyateira and Great Britain. CANONICAL TERRITORY OF THE MOSCOW PATRIARCHATE: AN ANALYSIS OF CONTEMPORARY RUSSIAN ORTHODOX THOUGHT. By Fr. J. Buciora, PhD. Territorial Jurisdiction According to Orthodox Canon Law. The Phenomenon of Ethnophyletism in Recent Years. 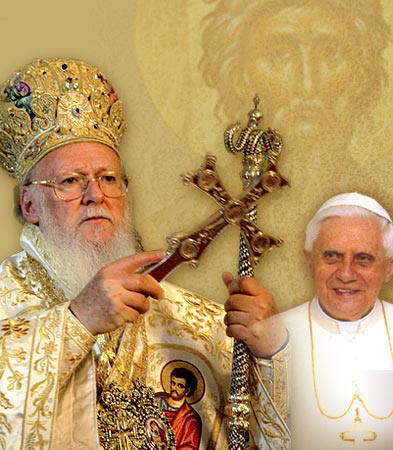 Clergy and Laity in the Orthodox Church: An Urgent Issue. By Protopresbyter Alexander Schmemann. Threat to Patriarchate of Moscow?This has worked !! EDITORIAL (February 2003. )(Answer from Patriarch Alexis on NEWS, 1 April 2003.) And sequel 21 April 2003. 1 April 2003. Open Letter of Patriarch Alexis of Moscow to the Hierarchs, Clergy and Faithful of the Russian Orthodox Tradition in Western Europe: Proposal for an autonomous Russian Metropolia containing the countries of Western Europe and, probably, another one for those of Central Europe. 20 May 2003. The Right Reverend Hilarion Alfeyev appointed Bishop of Vienna and Austria. 3. the right to required the mother church to elect its primate from three candidates nominated by the autonomous church. COURAGE EMERGES OUT OF CLEVELAND. By Katherine G. Valone. SOME THOUGHTS ON THE SCHOOL OF HALKI AND THE CHARTER. By Protopresbyter John E. Artemas. The Ecclesiastical Events of 2003. By His Eminence Spyridon, Former Archbishop of America. Le manifeste, intitulé L'unité orthodoxe en France et en Occident : notre responsabilité commune , signé par vingt personnes de différentes juridictions. Il a été publié le 13 juillet. "The time has come for the ecumenism of life:" The Church cannot be ethnic. An interview with Antoine Arjakovsky, an Orthodox Frenchman, professor at the Ukrainian Catholic University. Metropolitan Philip addressed the delegates to the 2004 Clergy-Laity Congress of the American Greek Orthodox Church as Americans. The Holy and Sacred Synod of the Ecumenical Patriarchate during its meeting on June 8 2006 under the presidency of His All Holiness Ecumenical Patriarch Bartholomew, examined the appeal of His Grace Basil, Bishop of Sergievo, to the Ecumenical Patriarch and, taking under consideration canons 9, 17 and 28 of the 4th Ecumenical Council unanimously decided to accept under the jurisdiction of the Ecumenical Patriachate the above named Bishop, placing him in the Patriarchal Exarchate for Orthodox Parishes of Russian Tradition in Western Europe. Thereafter the Holy and Sacred Synod proceeded, at the request of Archbishop Gabriel of Komana, head of the above mentioned Exarchate, to elect Bishop Basil with the title of Bishop of Amphipolis, as his auxiliary Bishop, to serve the pastoral needs of Orthodox living in Great Britain who desire to place themselves under the jurisdiction of the Exarchate. ARCHDIOCESE OF RUSSIAN ORTHODOX CHURCHES IN WESTERN EUROPE - Exarchate of the Ecumenical Patriarchate. SIXTH CONGRESS OF ORTHODOX THEOLOGICAL SCHOOLS, SOFIA, BULGARIA, 5-10 OCTOBER 2004 . WAKE UP AND THINK OF ENGLAND! by Deacon Vassilios Papavassiliou. His Holiness The Ecumenical Patriarch received His Holiness The Pope in Constantinople, 29-30 November 2006, celebrating together the feast of Saint Andrew the First-Called Apostle. ECUMENICAL PATRIARCHATΕ ANNOUNCEMENT. 8 June 2006. A COMMENT ON "DOMINUS IESUS". By Protopresbyter Kyrillos Leret-Adir (17 October 2000), at the request of the Standing Committee of Somerset Churches Together, England, and responding to the Declaration published on 6 September 2000 by The Congregation for the Doctrine of the Faith an office of the Patriarch of Rome. Agreed Statement On "Filioque" Adopted By North American Orthodox-Catholic Consultation. A Catholic View of Orthodoxy. By Aidan Nichols OP. IV. 11th September 2001 & 11th March 2004 and +. 14 September. 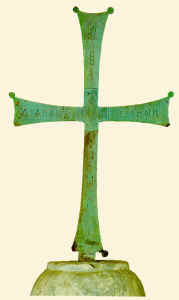 The Exaltation of the Holy Cross. ADVENT 2004. Encyclical of Archbishop Gregorios of Thyateira & Great Britain. ADVENT 2006. Encyclical of Archbishop Gregorios of Thyateira & Great Britain. ADVENT 2004. The real Star of Bethlehem, by St. john Chrysostom. Christian Leaders of Jerusalem See Reason for Hope But Lament That Bethlehem Seems a "Big Prison" Christmas 2004. 25 March. THE ANNUNCIATION TO OUR MOST HOLY LADY, THE MOTHER OF GOD AND EVER VIRGIN MARY. "National Day of the Hellenes" by Dr. M. R. Brett-Crowther. 25 March. Homily of Esychius, Presbyter of Jerusalem. Pascha, not Easter! By Father Dr. Dumitru Macaila. Approaching Lent (important preparation).. By Protopresbyter Kyrillos Leret-Aldir. Sunday of the Publican and the Pharisee. 2003. A reflection by Dr. M. R. Brett-Crowther. Sunday of the Publican and the Pharisee 2005. A reflection by St. Basil The Great. Sunday of the Prodigal Son. A reflection by Dr. M. R. Brett-Crowther. Sunday of the Last Judgement. A reflection by Dr. M. R. Brett-Crowther. Sunday of Forgiveness. A reflection by Dr. M. R. Brett-Crowther. CATECHETICAL ADDRESS ON THE OCCASSION OF THE BEGINNING OF THE HOLY AND GREAT LENT 2006. By H.H. The Oecumenical Patriarch Vartholomeos. GREAT AND SACRED LENT. 'Fasting Environment', by Protobresbyter Kyrillos Leret-Aldir. The Lent Fast (2004). By His Eminence The Metropolitan Nikita of Hongkong. SELF-DISCIPLINE IS AT HEART OF SPIRITUAL DEVELOPMENT AND A KEY TO SPIRITUAL GIFTS. First Sunday of Great Lent. Sunday of Orthodoxy. A reflection by Dr. M. R. Brett-Crowther. Second Sunday of Great Lent. St. Gregory Palamas. A reflection by Dr. M. R. Brett-Crowther. Third Sunday of Great Lent. Veneration of the Cross. (2003) A reflection by Dr. M. R. Brett-Crowther. Third Sunday of Great Lent. Veneration of the Holy Cross (2006).Catechesis 59, by St. Theodore the Studite. Fourth Sunday of Great Lent. St. John of the Ladder. A reflection by Dr. M. R. Brett-Crowther. Fifth Sunday of Great Lent. St. Mary of Egypt. A reflection by Dr. M. R. Brett-Crowther. Lazarus Saturday. A reflection by Dr. M. R. Brett-Crowther. PALM SUNDAY. A reflection by Dr. M. R. Brett-Crowther. Palm Sunday: Christ our King. By the Very Rev. Protopresbyter Kyrillos Leret-Aldir. The Importance of the Passion and Pascha Weeks. Anonymous. The Bridegroom cometh in the middle of the night. By Protopresbyter Kyrillos Leret-Aldir. Reflection for Good Friday. By Ben Sim. Sufferings of The Christ. St. Athanasius. Reflections on Pascha. Is Pascha for us a spiritual thanksgiving or an ethnic feast day? By His Eminence The Metropolitan of Spain & Portugal Epiphanios. Incredulity of Thomas. A reflection by Dr. M. R. Brett-Crowther (2003). The Myrrh-bearing Women. A reflection by Dr. M. R. Brett-Crowther (2003). Sunday of the Paralytic. A reflection by Dr. M. R. Brett-Crowther (2003). Sunday after Ascension. 630 Holy Fathers of the 4th Ecumenical Council. A reflection by Dr. M. R. Brett-Crowther (2003). Feast of Saint Peter and Saint Paul. 2003. (Also celebrating All Saints of Russia, Romania and Mount Athos) A reflection by Dr. M. R. Brett-Crowther (2003). III Sunday of Matthew. All the New Martyrs of Greece, All Saints of Britain: A reflection by Dr. M. R. Brett-Crowther (2003). IV Sunday of Matthew. The 630 Holy Fathers of the 4th Ecumenical Council. A reflection by Dr. M. R. Brett-Crowther (2003). V Sunday of Matthew. Feast of the Prophet Elias (Elijah) the Thishbite. A reflection by Dr. M. R. Brett-Crowther (2003). VI Sunday of Matthew. Feast of Saint Panteleimon the Great Martyr and Healer. A reflection by Dr. M. R. Brett-Crowther (2003). VII Sunday of Matthew. A reflection by Dr. M. R. Brett-Crowther (2003). Transfiguration of Christ the Saviour. A reflection by Dr. M. R. Brett-Crowther (2003). August Fast 2004. 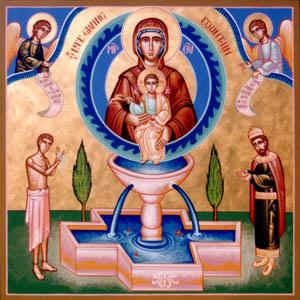 The Mother of God and Mother of the Light. Introduction & translation by V. Rev. Archim. of the Oecumenical Throne Ephrem Lash. THE FIRST FIFTEEN DAYS OF AUGUST AND THE CHRISTIAN ORTHODOX TRADITION 2006. By Archbishop Gregorios of Thyateira & Great Britain. IX Sunday of Matthew. A reflection by Dr. M. R. Brett-Crowther (2003). 13 May 2007: Italian noblewoman gives a fragment of Our Lady’s robe, and relics of six other saints, to the Russian Orthodox Church in Kazan. But Lament That Bethlehem Seems a "Big Prison"
29th. November 2004.The Relics of St. John Chrysostom and St. Gregory, The Theologian, Archbishops of Constantinople, returned to Constantinople. VATICAN CITY, NOV 9, 2004 (VIS): Inquisition Documents. 24 June 2004. NEW SECT AT SOFIA THEOLOGICAL FACULTY. 15 June 2004. Meeting of North American Orthodox-Catholic Theological Consultation held in Brookline, MA. 22 March 2004. SCOBA PARISH DIRECTORY AVAILABLE. 22 March 2004. URGENT Statement of the Extraordinary Session of the Holy Assembly of Bishops of the Serbian Orthodox Church. 22 January 2004. Rome-Moscow: CARDINAL KASPER TO GO TO MOSCOW IN FEBRUARY. 21 January 2004. Ecumenical Patriarch Consecrates New Cathedral in Cuba. The Strength of the Orthodox Church in Korea. 11 April 2003. Orthodox head warns of big clash. Oecumenical Patriarch interviewed by the BBC. 14 April 2003. Pope to Visit Kazan in August ? 16 April 2003. Elected the First Metropolitan of Spain and Portugal: Archimandrite Epiphanios Perialas. Statement of the Christians of Iraq. 30 April 2003. NEW PATRISTIC INSTITUTE. + August 4, 2003. REPOSE OF METROPOLITAN ANTHONY OF SOUROZH. August 2004. IN MEMORIAM of Anthony of Sourozh, (See above HOMAGE TO "Orthodox Outlook". THE SING OF THE CROSS: The Gesture, the Mystery, the History. Andreas Andreopulos, Paraclete Press, 2006. Reviewed by Protopresbyter Kyrillos Leret-Aldir. M.Th. in Orthodox Studies. University of Wales, Lampeter. May 4-6 2003. The Presence of the Church on the Horizon of Europe: Address by His Beatitude Christodoulos, Archbishop of Athens and All Greece, to the Pan-European Conference on "Values and Principles for building of Europe." May 27, 2003. Statement by the Moscow Patriarchate on the Draft Preamble to the Treaty Establishing the Constitution of the European Union..
June 16, 2003. The New York Times: An Oxymoron: Europe Without Christianity. June 2003. Archbishop Christodoulos speaks at the Univ. of Craiova on the European identity: "Europa Nostra." 7 July 2003, THE HOLY SYNOD OF THE CHURCH OF GREECE ON THE FUTURE OF EUROPE. October 2003. Christian Europe: An Orthodox Perspective. By Prof. Dr. Constantine Scouteris. January 2004. Greek Culture Minister Defends Legality of Ban on Women's Access to Mount Athos. February 2004. The Relation of the European Union and Turkey from the Viewpoint of the Christian Churches. Discussion Paper by the Conference of European Churches. May 2004. EUROPE AND LIBERALISM: Is Liberalism Finished? By Carole P. Leret. Icon of Kazan: Round Table. Who could tell the greatest lie? The Meaning of the Rachmaninov Vespers. By Dr. M. R. Brett-Crowther. A Note on the Translation of Rachmaninov's Vespers. By Dr. M. R. Brett-Crowther. 11 April 2003. Egypt's churches came together Last week to denounce an increasingly visible former Seventh-Day Adventist leader. A touching Story that I came across. Enjoy!. Author unknown. A Fool for Christ ? THE SENSE OF THE GOOSE. By Antony Samuel Naiim. "Look man, I don't believe that God exists like you say." ? THE DISCONNECTED WORLD by Gregory C. Atkin. "UNLESS I AM SURE..." Divorse ? Self Improvement. The Editor Celebrating his seventieth birthday (2003). I run in the rain, did you? X. FATHER KYRILLOS' COMMENTS AND CONFESSIONS. 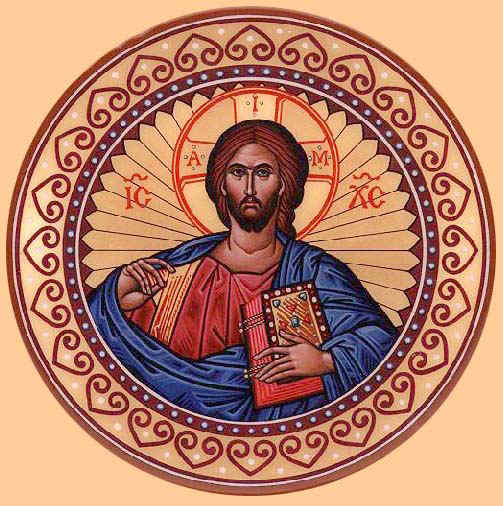 A series of Articles written by Protopresbyter Kyrillos Leret-Aldir, some, for LIGHT of Christ (ΦΩΣ XΡΙΣΤΟΥ), monthly newsletter of the Greek Church of St. John the Baptist & St. Anthony (London). and, others, for different occasions, places or reasons. September 2001. The new ecclesiastical year and watchfulness meditating Holy Writ to avoid inertial living: Let us make plans. The Church force. October 2001. XXI century...? Terror from God...? Or, from our sins...? Bishops...? Pluralism? Hum...! Where is Authority...? Responsibility of teaching: In the Name of the Lord! November 2001.Certain corrections to the printed version of 'October 2001.' Living in the Church. December 2001. The Person of Christ. January 2002.The New Year of the flesh and of the Christian. April 2002. Lent: a social environment. Learning fear to become wise. July 2002. Sin. Its time. Its knowledge. Its 'ubication'. The presence of God and Its Heart Desire: Repentance! December 2002. First on prayer: fasting for praying with due care and attention. February 2003. Second on prayer. The Symbol of the Faith and the "Our Father." Praying in the presence of God. Responsibility of Bishops, Priest and Teachers. April 2003. Behold the Bridegroom Cometh in the Middle of the Night. June 2003. The Bridegroom Carried Himself in His Own Hands. August 2003. The Bridegroom's Sacrificial Act. March 2007. A Parish Priest's Letter to his Parishioners. April 2007. St. Thomas Sunday: Life of Faith. The Orthodox Faith and Marriage. This WEB SITE is open in memory and Eternal Rest of María Teresa Leret Ruiz, María Luisa Leret Ruiz, Isabel Leret Ruiz y Sofia Leret Ruiz.